One of my very favorite places in Rome is the Pantheon with the small Piazza della Rotunda just to the south of it. Every trip to Rome is not complete without a visit to this glorious first century monument. 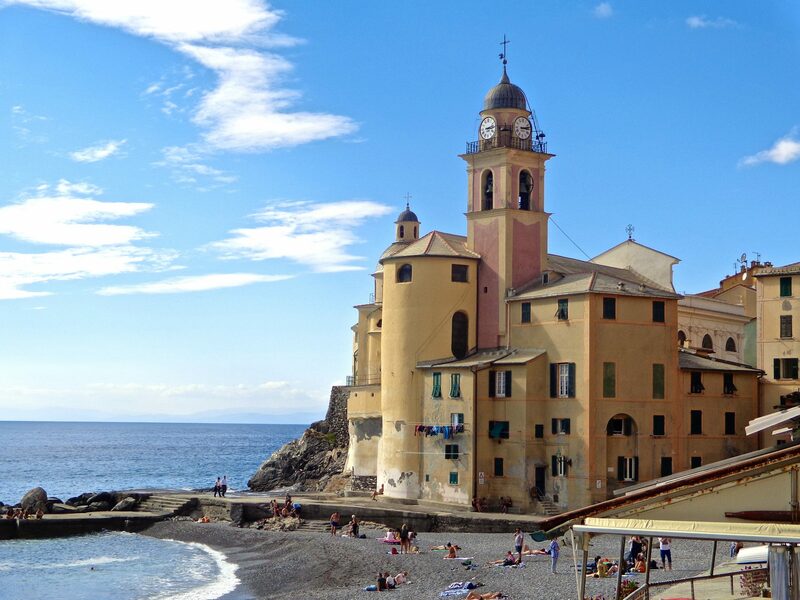 There are several outdoor restaurants that line the piazza and offer decent food with great views. 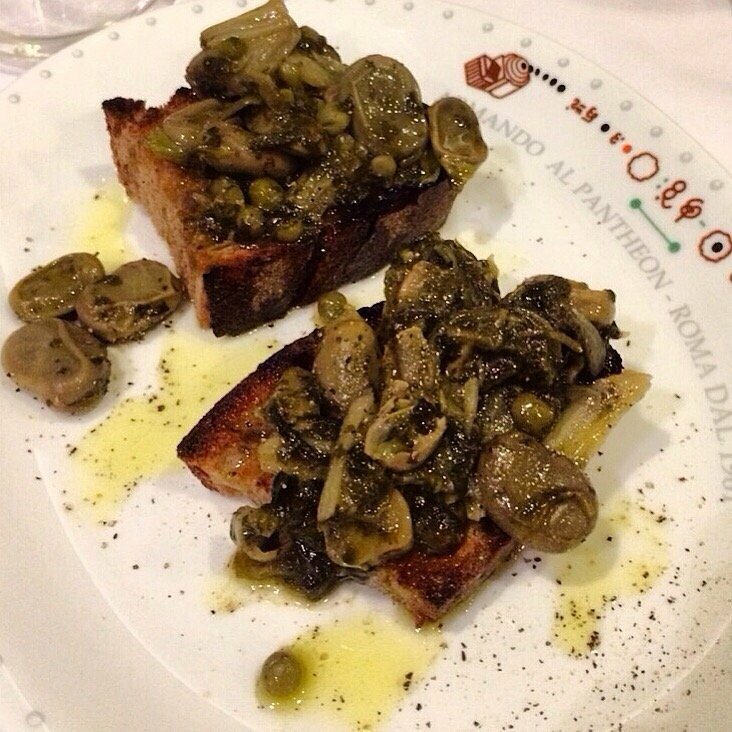 But the trattoria I love the most is Armando Al Pantheon which is just a stone’s throw from the Pantheon itself. Although it lacks outdoor dining, the small one room trattoria is as homey and comfortable as one could imagine. Owner and chef Armando Gargioli bought the small building in 1961 and transformed it into his own family run restaurant. His expertise, which his son’s have learned and continue offer, is seasonal and traditional Roman cuisine. The morning I arrived, I waited outside the simple and unassuming front door for half an hour before the trattoria opened for lunch at 12:30 pm. A line had formed close behind me. After I was immediately seated, the small dining room filled quickly. There was no music playing which I found refreshing. I noticed businessmen that looked like government bureaucrats, possibly from the nearby senate and parliament along with locals and a few tourists like myself. The server was genuine and very helpful with the menu, which offered traditional cucina Romana along with some Roman Jewish classics such as endive and anchovies, and artichokes drizzled with olive oil. I decided on Spaghetti con Branzino, spaghetti with sea bass. The pasta was perfectly al dente, and the bits of white fish tender and flavorful. My glass of Frascati was crisp with citrus undertones, a perfect pairing with the pasta. For dessert, I ordered the Tiramisu. 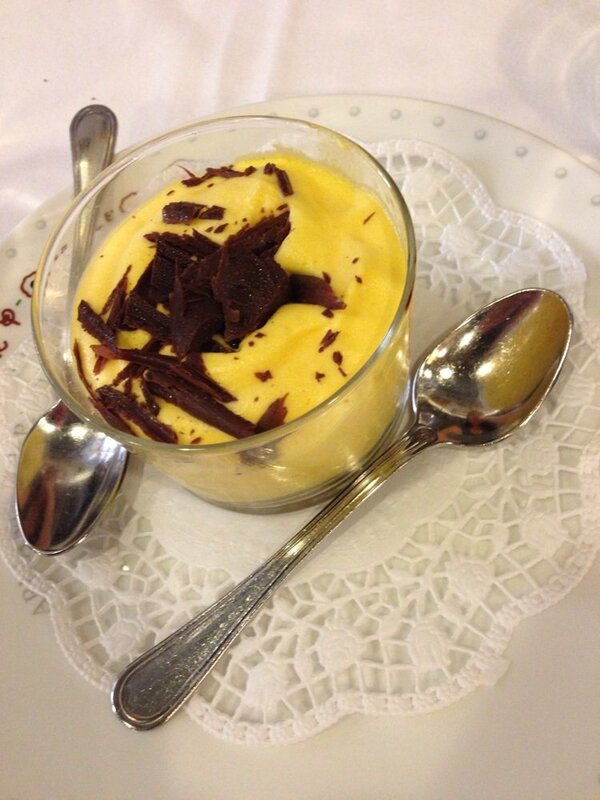 Rich, creamy and unforgettable, it was one of the best I have ever tasted. 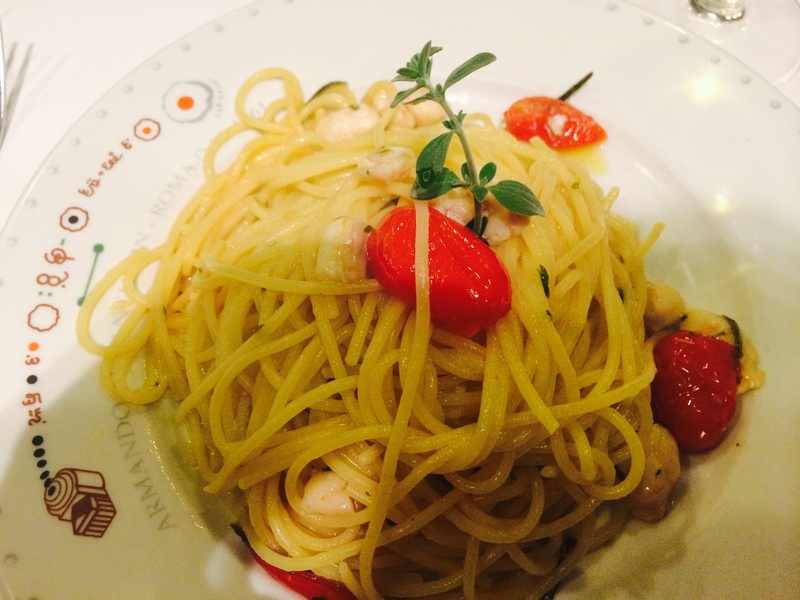 Armando al Pantheon is a great find in a touristy locale. There are no lunch reservations, although they do take reservations for dinner. For lunch, arrive early and wait by the front door. With only 30 seats at the most, it fills quickly. 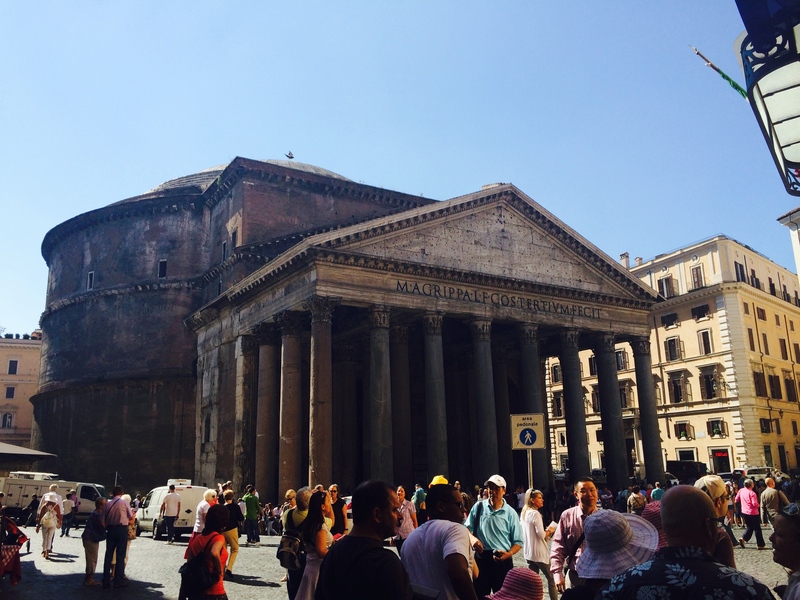 So, have a glass of wine or coffee at an outside restaurant on the piazza to inhale the sights of the Pantheon. 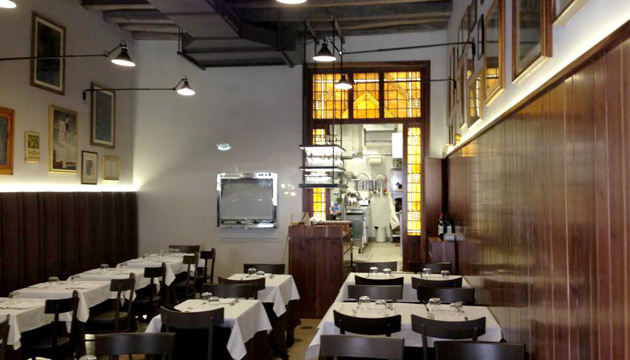 Afterwards, enjoy dinner at one of the best trattorie Rome has to offer. Closed Saturday dinner, and all day Sunday. Yes, this is also our favorite restaurant when we visit Rome… discovered by my Japanese wife, through another Japanese blogger… le vie del Signore sono infinite, we say in Italian ! I did eat at one of the restaurants in the Piazza by the Pantheon and it was great. But I will try this place next time I’m in Rome. I got hungry reading your post! Oh, I hope you do:) If you remember the name of the restaurant you ate at, let me know. I have to say that my experience at Armando was so wonderful it would be hard not to return on my next trip to Roma! I love the Pantheon and it’s quartiere. it’s my favourite corner of Roma. I’ve been meaning to go to Armando’s and have heard great things about it. By the time I eat take out suppli, and have a granita di caffe at Tazza d’Oro, I’m always full when I’m in the area. Will have to make sure I have an empty pancina next time I’m in Piazza della Rotonda! It is one of my favorites as well. Yes indeed, next time make sure you are hungry. You will be richly rewarded at Armando! Great BLOG, i love Roma! Thank you Ken…your trattoria in Sydney sounds wonderful. But there is something about being just steps away from the Pantheon, which never ceases to astound me:) Thanks for stopping by! Yes Susan another very special place in Roma. I celebrated my birthday there for dinner last year and it is a memory that will last me for a very long time. One of my favorite Rome places to eat dinner. Have never tried lunch there. When I was last there, each diner was given a glass of cool white wine of some kind when seated–a very nice idea. All the other restaurants on that street have men (usually) outside trying to draw in customers. I haven’t fallen for that for a while. One dinner that sticks in my mind is grilled sausages with an accompaniment of crisp radicchio that was just the thing to counteract the good greasy meat. It won’t be long after I arrive that I will head there. Hi Joan, do go to Armando’s for lunch. It’s fabulous, just make sure you get there early. Yes, i’ve been harassed by restaurant men trying to lure me in. I never eat at a place like that. Those grilled sausages on crisp radicchio sounds delicious! Thanks for stopping by…in fact, you might be in Rome now? A while after I had written the restaurant comment, I decided I had probably mentioned the wrong restaurant. I am aware of Armando al Pantheon and had heard it praised before, but don’t remember if I have eaten there. 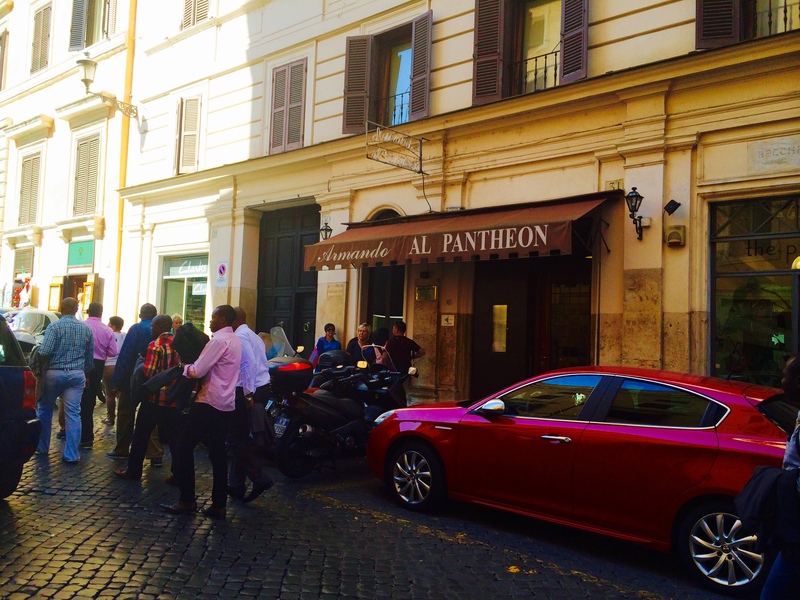 The restaurant where I had the sausages is Antonio al Pantheon. It is down Via Pastini, a couple of blocks from the Pantheon. I land in Rome 4 weeks from today. This will be my third Christmas in Rome. All kinds of fun new places I have to try out next time I am in Rome…thanks for all the great ideas! Also one of my favorites for many many years. Nice to revisit!